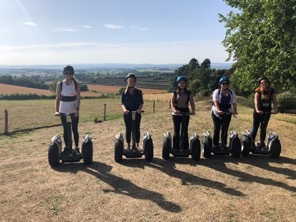 On Monday 6thAugust the team of wedding and event co-ordinators at Old Down Estate took an hour out at the end of the day for some team-building with some segwaying. Although we all work at the Estate we have never had the opportunity to have a ‘proper go’ so were looking forward to this. 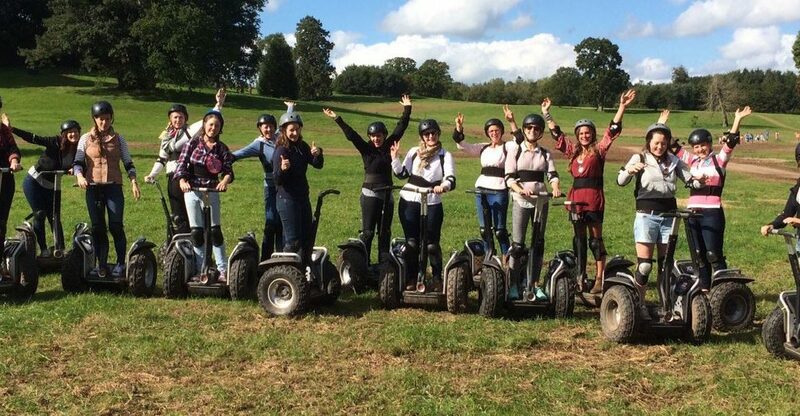 Segway Bristol (www.segwaybristol.co.uk) are located within the Estate and are perfect for team-building, stag and hen parties and groups. There is a choice of a segway safari around the Estate or an Olympics with team races. The team went on the segway safari around the beautiful 66 acre Estate. We went through the woods, saw the animals and admired the beautiful gardens. We started off with a briefing from Alex on what to and not to do! She then did a one-to-one with each of us to make sure we knew what we were doing and safe. After weaving up and down poles and going to the practice circuit we headed off around the Estate with Alex leading us. It was a wonderful fun filled afternoon with some races after getting back from going around the whole Estate. 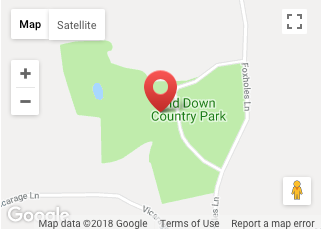 We would highly recommend this activity to anyone, whether it be a corporate team building entwined with a conference or a stag and hen weekend. Please contact us for more information, where we would be happy to help you!